The Museum’s growing vertebrate palaeontology collection contains around 40,000 specimens, with over 100 type specimens, dating from the Ordovician – around 460 million years ago – to the Pleistocene 11,700 years ago. All classes of vertebrates are covered, including jawless vertebrates, cartilaginous and bony fishes, amphibians, reptiles, birds and mammals. There are many historically important specimens, including those of Edward Lhywd, William Buckland, Elizabeth Philpot, Gideon Mantell, Thomas Hawkins and John Phillips. The museum’s collection of Middle Jurassic dinosaurs is one of the most important in the world. The collection also includes the type specimens of the Middle Jurassic theropods Magnosaurus nethercombensis, Metriacanthosaurus parkeri and the Late Jurassic Juratyrant langhami, all from Dorset. Bones from the skull of the world’s first scientifically described dinosaur - Megalosaurus bucklandii - can be seen on display. 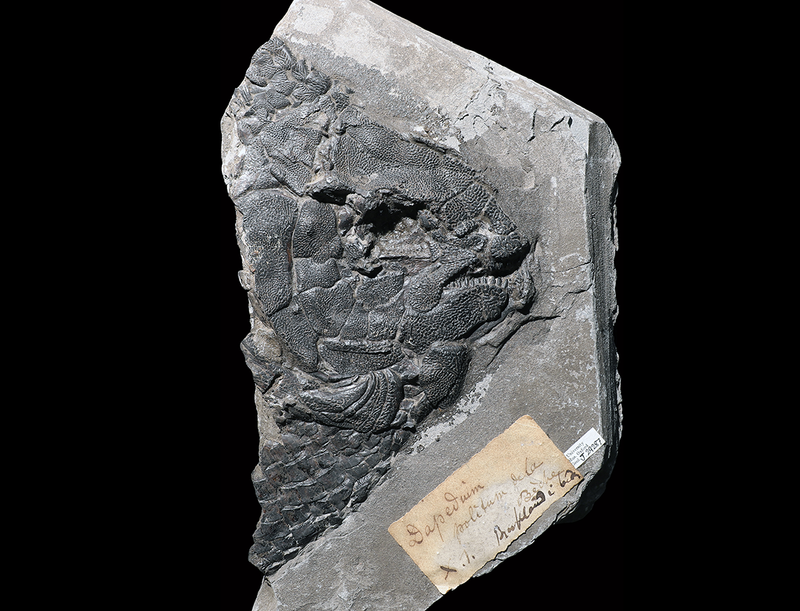 Our Lower Jurassic marine reptile collection includes numerous type specimens and beautifully articulated skeletons of ichthyosaurs, plesiosaurs and crocodylomorphs from the Dorset coast, Street in Somerset and Holzmaden in Germany. Several specimens have preserved soft tissue and stomach contents. The collection is also rich in material from the Middle and Upper Jurassic, including the Great Oolite Group, Oxford Clay and Kimmeridge Clay formations, and the Portland Stone. 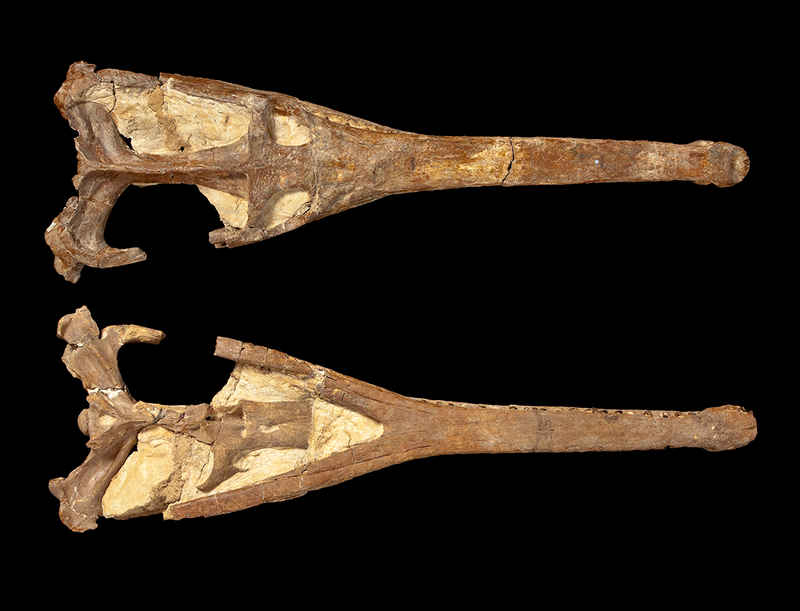 Skull of the crocodylomorph Steneosaurus herberti from the Middle Jurassic of Oxfordshire. 3D model of a plesiosaur flipper from the Oxford Clay Formation. 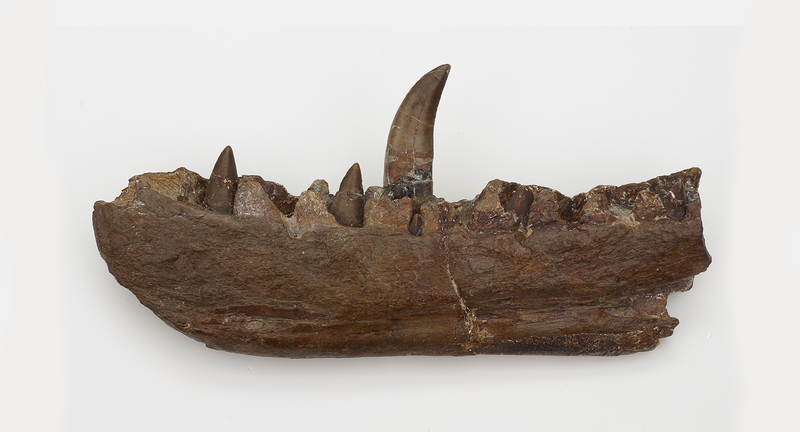 The collection of early mammals from Stonesfield and other Middle Jurassic localities around Oxfordshire includes one of the first Mesozoic mammal jaws ever discovered, and is of international importance. The collection is also particularly strong in Pleistocene mammals, many of which were collected from local deposits in Oxfordshire. The Museum holds a highly significant collection of British and European Pleistocene cave mammals including those collected by William Buckland, William Pengelly and William Boyd-Dawkins from Kent’s Cavern, Wookey Hole, Kirkdale Cave and Paviland Cave, among others. We also have a sizeable collection of specimens from the Plio-Pleistocene of the Siwalik Hills in Northern India. 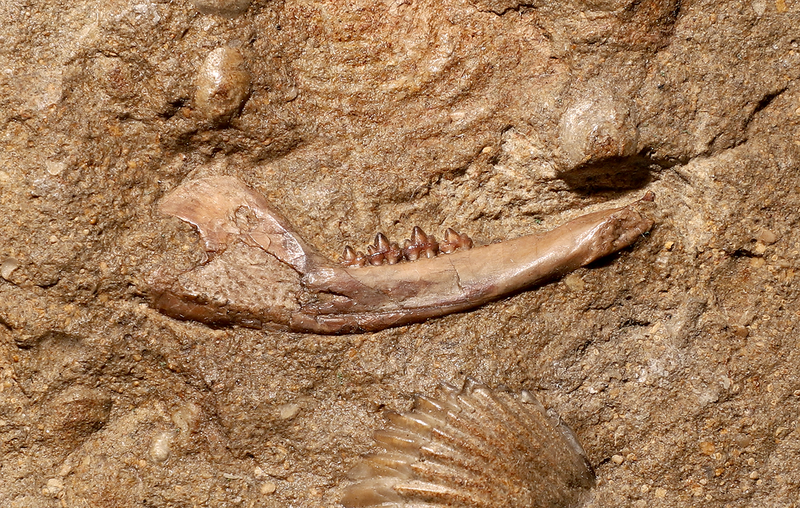 The 3cm-long jaw of the Middle Jurassic mammal Phascolotherium bucklandii from Stonesfield, Oxfordshire. The Museum’s collection of fossil fishes, including jawless vertebrates, holds over 40 type specimens. The Palaeozoic and Mesozoic are particularly well represented, with significant collections from the Old Red Sandstone of Herefordshire and the Lower Jurassic of Dorset. The skull of the fossil fish Dapedium politum, from the Lower Jurassic of Lyme Regis. From the Elizabeth Philpot collection. Large-scale projects are underway to catalogue the fossil vertebrate collections, and data will be made available through Collections Online.